You’re ready to change your life by going into business for yourself. You’ve decided to take the risk and go out there and follow your dreams. You also realize the odds are not in your favor because most small businesses fail within their first five years. So, in order to succeed you will have to sacrifice your leisure to get to where you want to go. If you don’t, you’ll end up where you were before—working to make someone else rich in their business while you took home a small paycheck that couldn’t keep up with the rising cost of living. Once you’ve made a decision to start your own business, you now face a crossroads. How should you start your own business? If, for instance, you’re interested in opening up a retail store, you have to ask yourself whether you should use a startup model or franchise model. Should you open up an e-commerce store or open a UPS store? Assuming you have enough time, money, and family support to initiate a startup or open up a franchise — which will ensure a better future? 1. Your business idea. What do you know that other people will want to buy? Even if you decide to dropship products from an ecommerce website, you will need to find a line of products that you like to sell. If you decide to sell cookware, but don’t know how to cook and live on prepackaged meals and takeouts, then you won’t know what products to get from vendors or how to answer customer’s questions. So your idea has to blend what you know and what people want to buy. 2. Your legal structure. You will need to find out about all the legal requirements of starting your own business. 3. Your financial system. 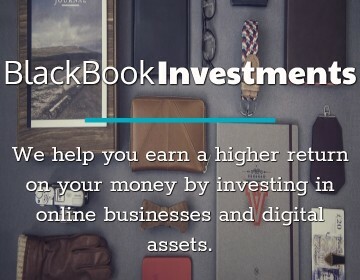 You will need to understand financial information and buy some accounting software or hire someone who is good at bookkeeping. 4. Your products. You will need to research and test out different product lines to figure out the difference between what sells and what doesn’t sell. Relying on your own preferences or going by manufacturer’s biased recommendations isn’t enough. The only way to figure out what people like and dislike is by test marketing your product idea. 5. Your technological infrastructure. You will need to get good at technology or hire someone who is good at it. 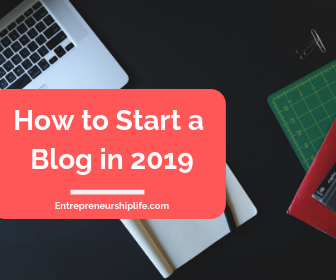 Most of your business will involve technology, and you will have to understand how to build a website, build a blog, and build a social media platform. In addition, you may have to buy a server and create your own network or use the cloud. 6. Your team. Eventually, if all goes well, you will be in a position to build a team. You will reach a point where there is too much work for one person. However, you may have to build an outsourced team when you launch, consisting of an accountant, a lawyer, and an IT person. With a franchise, you will be educated on all the business processes that you have to figure out on your own with a startup. You will also get corporate support to help you get set up and troubleshoot problems. Your main job is to make sure that you follow the instructions instead of trying to reinvent the wheel. If you do your due diligence, then you will find the right business opportunity. When researching a franchise, you need to research the franchisor, the product or service, and the market area. You will also need to carefully review the contract and get a good understanding of how much support you can get as you work to build your business. While the franchisor may give you plenty of information on their business model, it’s still your business, and success or failure will depend on your own ingenuity and effort. Simply getting a blueprint on how to follow proven best practices is not a guarantee of success. 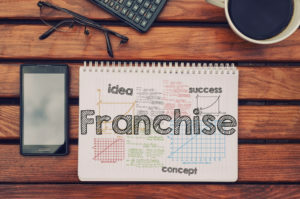 When researching the franchisor, find out if they have a good track record, if they have industry expertise, and if they have financial strength. You will also want to know about the franchisee screening process and whether the business is profitable. Next, look at the product or service. Is it something that’s in demand and are sales strong in its industry? Also find out about competitors, if the product is competitively priced, and if there is plenty of potential for growth if your business does well. Then, research the market. Will you get an exclusive territory and does the territory offer sales potential? Again look at competition, as well as how many franchises in your market are doing well. Assuming that all these three things check out: the franchise, the products or service, and the market and sales territory, you will need to review the contract. Review the fees and royalties; review the conditions for renewal, termination, and transfer; and review all costs and expected sales quotas. You want to make sure that everything is fair and reasonable. Finally, assess how much franchisor support you can reasonably expect. Ask the hard questions up front so that you aren’t taken by surprise later on. Think carefully about your choice. Startup or franchise? Once you’ve decided to become an entrepreneur, commit to it fully. What Types of Insurance Does Your Startup Need? All great advice! Joining a franchise or starting a business can be vastly different experiences. If you have an idea you are passionate about it is always good to pursue it. Thanks for sharing.